Are you a skilled worker looking to work in Switzerland? 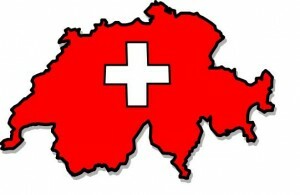 Would you like to know information regarding Switzerland Work Permit? Here we are helping you out by providing what are the requirements, eligibility criteria and other Switzerland Skilled Worker visa information. Skilled workers can easily find their way towards Switzerland because the country’s economy is based on a highly skilled labor force. Being a country with low-unemployment rate, Switzerland is the most competitive economy providing a number of opportunities for skilled professionals. By the virtue of its favorable business and living environments, Switzerland has become home to a great number of European companies. People who wish to work in Switzerland must obtain Switzerland Work Permit, which are granted along with residence permits. In general Switzerland Skilled Worker Visa will be applied by employer instead of prospective employee. The nationals of EU and EFTA enjoy a special status with regards to Switzerland Work Permit. A cap exists on the number of third-state nationals willing to work in the country. Switzerland Skilled Worker visa are subjected to annual quota of residence permits available. The employer need to prove that the vacancy is advertised and they could not find any suitable candidate from the country to fill the vacancy. The salary and working conditions of the potential employee must be equivalent with the local and industry-specific standards. Switzerland Skilled Worker visa applicant must possess required qualifications relevant to their profession in the country. The eligibility of Switzerland Skilled Worker visa applicant will be evaluated based on certain skills including age and language criteria. How can I contact you????? ?